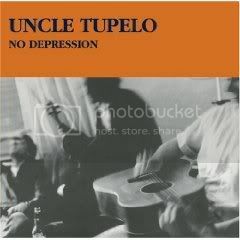 Why It might be Tupelo's best album: No Depression is characterized by unbridled attitude, which is evident right off the bat, with the opening riff to the bombastic "Graveyard Shift". The song's roaring power chords and Gatling-fire drumwork are the archetype for much of what we hear on the band's debut, specifically "Factory Belt", "Outdone", and "So Called Friend". 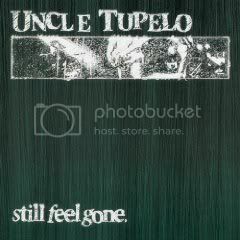 This is the album is the shot heard round the world for the new wave alternative country, something the members of Uncle Tupelo modestly refuse. While it's true they weren't the first to interlace hard rock and roots rock, they certainly championed the genre's run in the 90s. Why It Might Not: Jeff Tweedy is still finding his voice, as his lead vocal turns always seem a bit timid on songs like "Screen Door", "That Year", and "Train" (although I do love "Train"). The lyrics are at times over-saturated with an antagonistic view of middle-America that, valid or no, Tweedy and Farrar may have been more removed from than their lyrics indicate. The album is rough and raw, and might actually suffer from the restraint shown on the other three albums (especially the last two). Most groups would kill to write an album like No Depression, but it was a springboard for Tupelo, and they would only gain momentum until the end. Why It Might Be Tupelo's Best Album: If "Graveyard Shift" was the shot heard 'round the world for alt.country music, then "Gun" was the same thing for Jeff Tweedy. I wonder if it was a shock for fans to hear Tweedy's voice first, since at this point Farrar was still the surefire star of the show. But Farrar doesn't relent, and in fact provides what I might consider the best all-around song in the alternative country canon in "Still Be Around". Tweedy and Farrar's dynamic seemed at it's best on Still Feel Gone, the two men harmonizing smoothly, Mike Heidorn faithfully providing the beat all the while. Why It Might Not: I consider this album front heavy, and maybe a couple of tracks longer than it needed to be. While Tweedy proved himself with "Gun", he also proved he wasn't quite there yet with "D. Boon", an ode to the late Minuteman frontman. Lines like "It's just me and Jay playin' our guitars along with it all" are a bit cringe-worthy. Farrar's stuff isn't bad, but I'd deem it slightly-above average. The lack of depth is offset by some of the strongest songs the band released, including "True to Life", the Son Voltish "Postcard", and of course the aforementioned winners above.